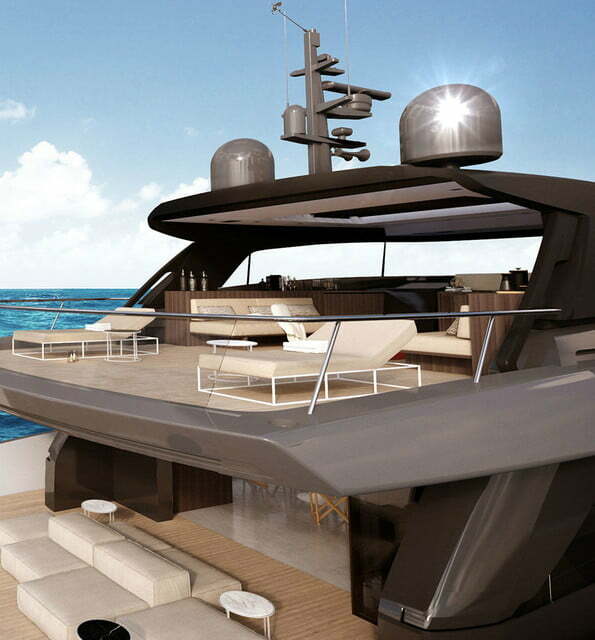 Changes are afoot in the world of superyacht design. Hull and superstructure designs set physical limits but within that framework, there’s plenty of room for interpretation. 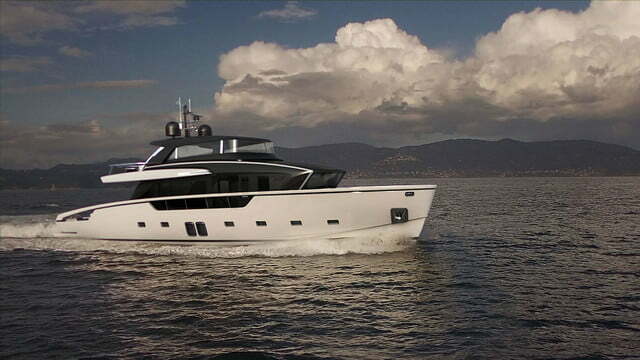 Sanlorenzo’s SX88 is the first of a new line described as “a Copernican revolution,” according to Boat International. 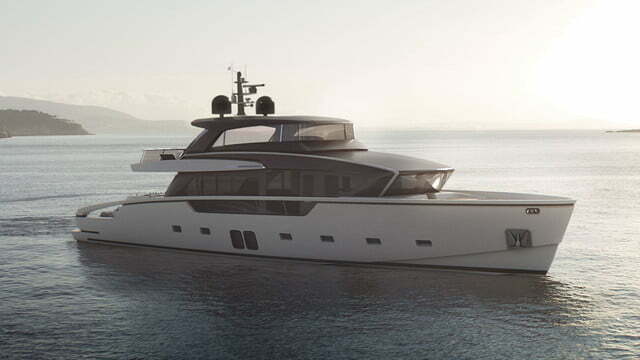 A crossover integrating features of smaller explorers and flybridge yachts, the SX88’s exterior design and styling are the responsibility of Officina Italiana Design. 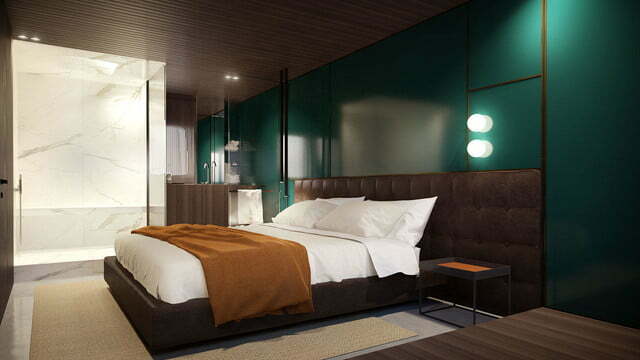 Interior work is under the direction of Piero Lissoni. If you think “a superyacht that feels like an open loft,” that’s the design aesthetic driving the shipbuilder and designers. 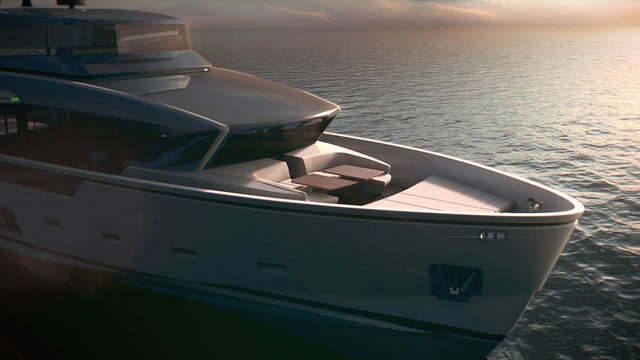 According to Sanlorenzo CEO Massimo Perotti, the SX88 was conceived and designed to interest a new generation of buyers. The first public outing will be at the 2017 Cannes Yachting Festival in September, but the new line’s details were presented in May at a design museum in Milan. The 27-meter full displacement superyacht will be powered by Volvo Penta, but specifics have not been revealed beyond an expected maximum speed of 23 knots. The SX88’s design elements tend toward open spaces for expansive views and flexible use. An open transom has space for a tender and personal watercraft. 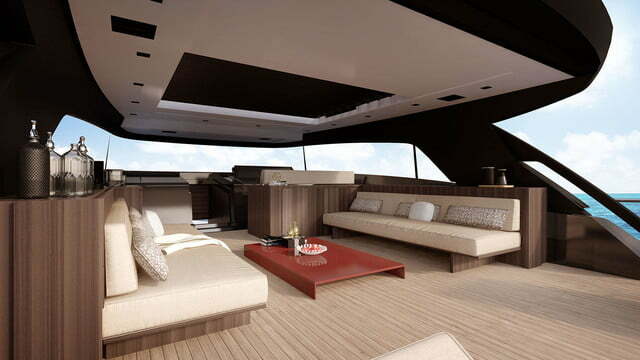 Much of the main deck is left open to allow easy access with plenty of natural light. There’s a noticeable and intentional lack of interior walls and furniture. The top deck skylounge has a fixed front windshield and roof. The side windows are nearly 10 feet long and can be left up for more protection and a closed in space with views, or lowered for more exposure and air. 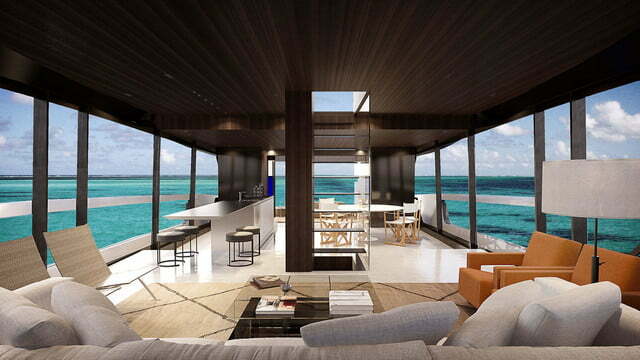 Directly behind the covered space, an open lounge area can be defined by furniture. Six SX88 hulls have already been spoken for. 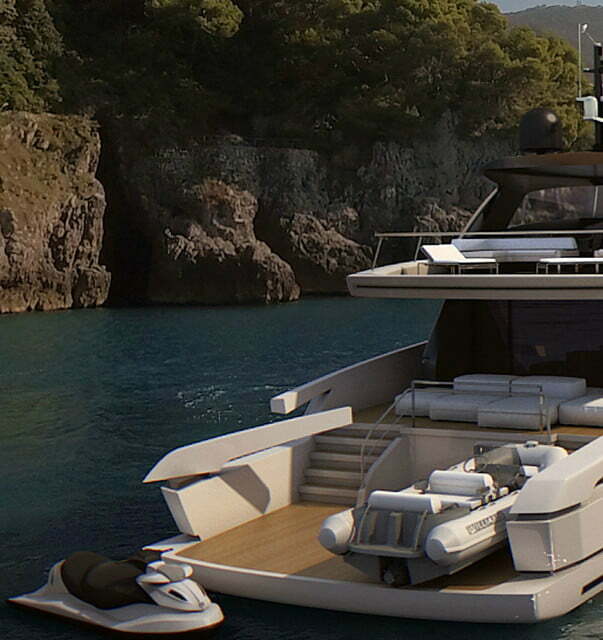 The superstructure design is offered with three different layouts. Depending on the buyer’s preference, the owner’s suite can be located amidships on the lower deck or forward on the main deck. Sanlorenzo will have two additional sizes in the line. The first SX72 will launch in 2018 and the SX104 in 2019. All of the yachts in the SX line will have glass-reinforced-plastic (GRP) hulls and carbon fiber superstructure for strength and rigidity without weight.